Hanoi (VNA) – Textile and garment businesses of Vietnam hold considerable opportunities to sell their products to the European Union (EU) via the world’s leading online shopping channel Amazon, foreign experts said at a seminar in Hanoi on May 10. At the event, held by the Vietnam Textile and Apparel Association, Vietnamese businesses were provided with advice about e-commerce trends via Amazon by experts from Germany’s Vorwarts GmbH company. Vorwarts GmbH CEO André M. Åslund cited statistics that up to 76 percent of consumers use mobile phones to shop online, and 50 percent of mobile phone users shop via Amazon. He said the quality of Vietnam’s garment products completely satisfies EU consumers. Many enterprises in Vietnam and Asia often sell their products to the EU via intermediaries or outlets. 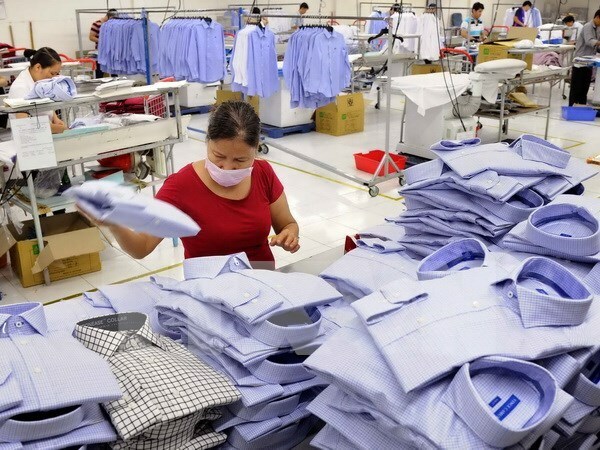 However, they can cut down this intermediary step if products are sold on Amazon, thereby reducing cost and improving Vietnamese apparel’s competitiveness in EU markets. Consumers’ behaviours have changed much, he noted, elaborating that instead of being solely based on the prestige, their trust in a product is now based on many other tools such as the product review and description, or other consumers’ assessment. Therefore, businesses should pay more attention to quality information provision and product quality so as to increase good assessments. Those evaluations will in turn encourage EU consumers to buy Vietnamese products, Åslund said. He also noted some challenges facing businesses when they want to sell goods via Amazon. He asked them to comply with regulations of EU markets and improve product design to meet consumers’ taste.